Why Does Melbourne Have Hook Turns? While hook turns are a unique maneuver and may seem confusing at first, they serve a crucial role in providing trams with an efficient pathway which improves the efficiency of Melbourne roads. But Why Does Anyone Need To Learn It? It’s required to learn the hook turn because not only is it illegal to perform a hook turn incorrectly, but it will provide you with the confidence in applying it when required. Not complying with the hook turn signs may potentially result in a $117 penalty. 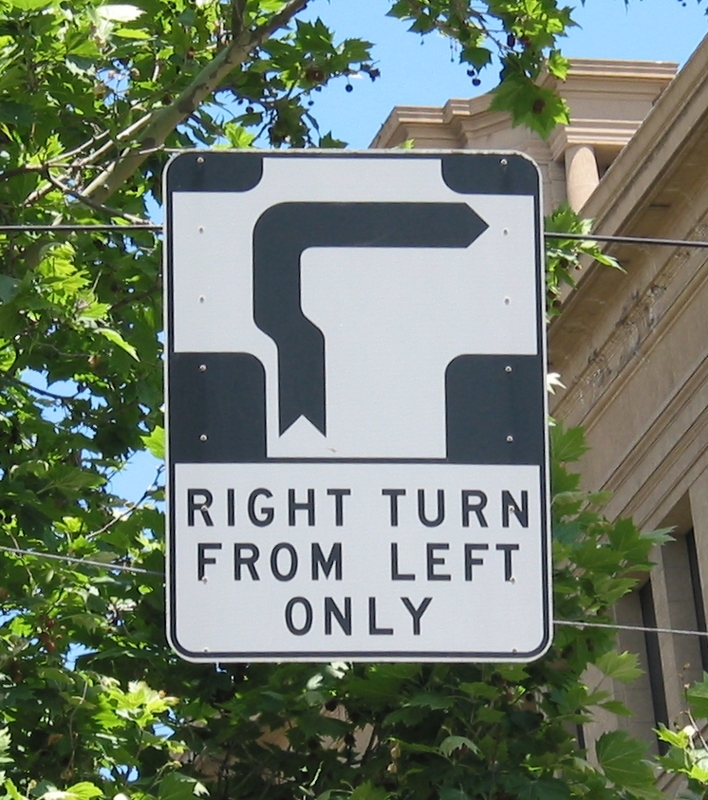 Hook turns are a maneuver that exists in Melbourne. The basic premise of the hook turn is that you use the left lane to turn right. But it’s a little more complicated than that. Before explaining any maneuver, it’s important to understand why the maneuver is needed in the first place. The main idea of the hook turn is to provide cars and tram lines who want to move forward with space without being delayed by cars trying to turn right. Which is why tram lines are on a road with a hook turn in the first place. In the central city, cars are generally not allowed to travel on tram lanes so lanes created for the purpose of turning right were not created. Turn across tram tracks — which is unsafe because there might be trams moving across you on the right. Merge onto tram tracks and wait for a gap in oncoming traffic — which would greatly delay trams. To know when it is required to do a hook turn, look for the clear sign. Move to the left lane and indicate right. Stop where you want to turn right without stopping on a foot crossing. Keep an eye on the traffic lights to your right (the road you want to enter not the road you’re currently on). When the traffic light turns green, turn right. If you’re a little intimidated, don’t fret. Hook turns are probably one of the most confusing maneuvers. But over time, you’ll get used to it and be able to conquer hook turns like any other maneuver you practice. A fun fact about the hook turn is that when Mercedes-Benz arrived in Melbourne to test their autonomous cars, the hook turn proved to be the most difficult turn to master — probably due to its multi-stepped nature. Despite having multitudes of experience over the world, team leader Jochen Haab admitted to the uniqueness of the hook turn. If you need lessons on hook turns, LTrent provides special lessons dedicated to instilling safe hook turn habits into your driving agenda.